Mendoza is the capital city of Mendoza Province, in Argentina. It is located in the northern-central part of the province, in a region of foothills and high plains, on the eastern side of the Andes. The city is a frequent stopover for climbers on their way to Aconcagua (the highest mountain in the Western and Southern Hemispheres) and for adventure travelers interested in mountaineering, hiking, horseback riding, rafting, and other sports. In the winter, skiers come to the city for its easy access to the Andes. Two of the main industries of Mendoza area are olive oil production and wine making. 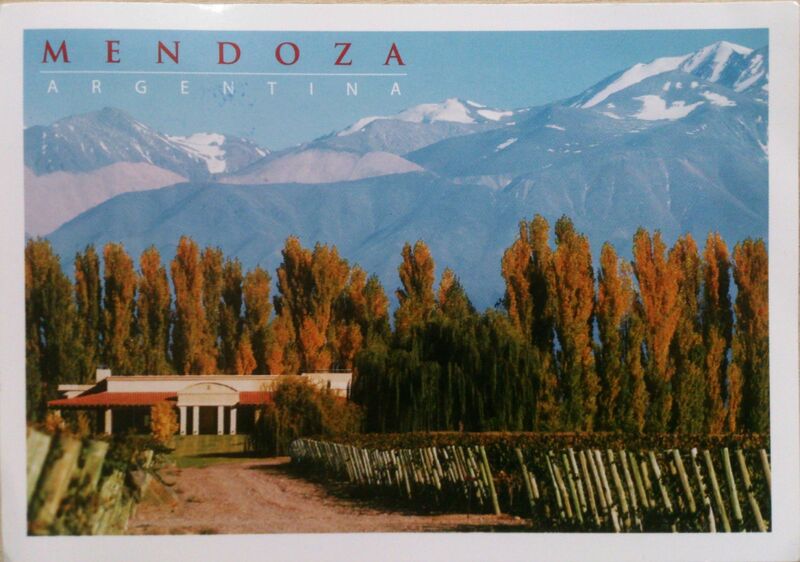 The region around Greater Mendoza is the largest wine producing area in Latin America. As such, Mendoza is one of nine cities worldwide in the network of Great Capitals of Wine, and the city is an emerging enotourism (Wine tourism) destination and base for exploring the region’s hundreds of wineries located along the Argentina Wine Route. 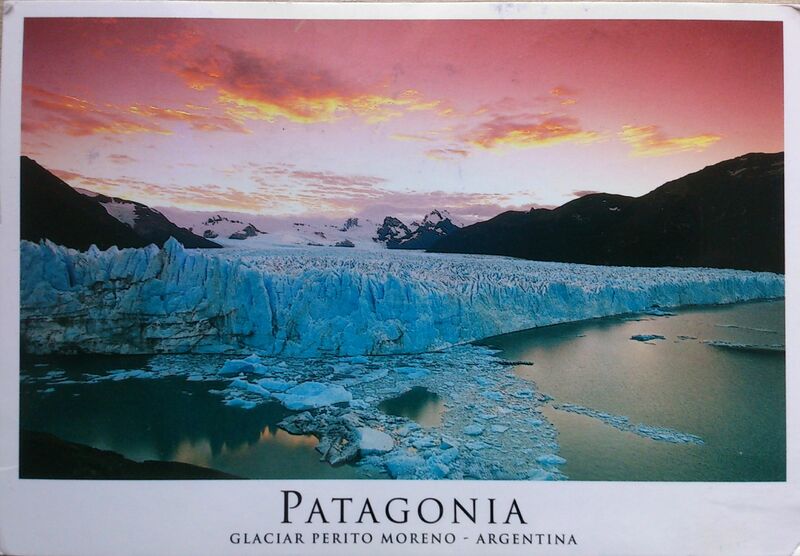 My first postcard from Argentina comes from Rodrigo. 🙂 It pictures the Perito Moreno Glacier – it is a glacier located in the Los Glaciares National Park in southwest Santa Cruz province, Argentina. It is one of the most important tourist attractions in the Argentine Patagonia. The 250 km2 ice formation, and 30 km in length, is one of 48 glaciers fed by the Southern Patagonian Ice Field located in the Andes system shared with Chile. This icefield is the world’s third largest reserve of fresh water. The Perito Moreno glacier, located 78 kilometres from El Calafate, was named after the explorer Francisco Moreno, a pioneer who studied the region in the 19th century and played a major role in defending the territory of Argentina in the conflict surrounding the international border dispute with Chile.